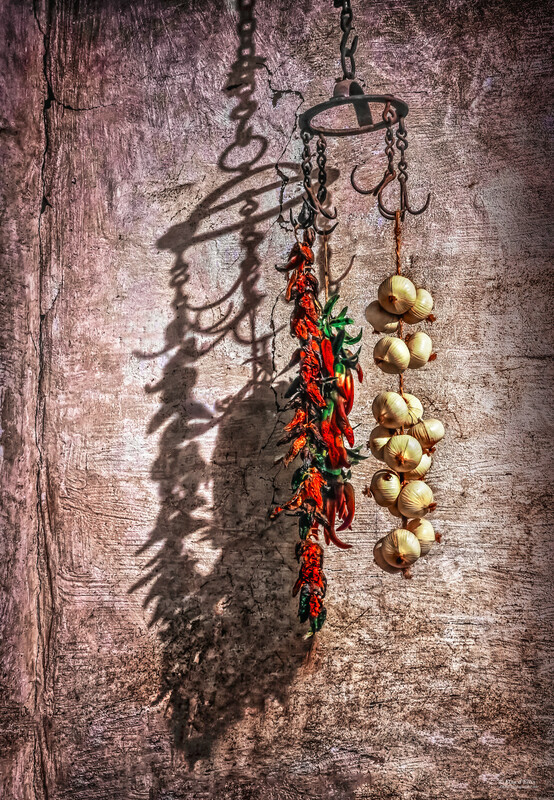 Ristras are the string chiles, onions, colorful corn, or garlic you see hanging along fences, on patios and on portals all over New Mexico. In the Fall, you can buy ristras at farmer's markets, and roadside stands. Ristras are sometimes used for decorations, and are said to bring good health and good look. More often are hung up to dry for later cooking and eating.